A – for effort – and for accomplishment. That’s how we would rate it. 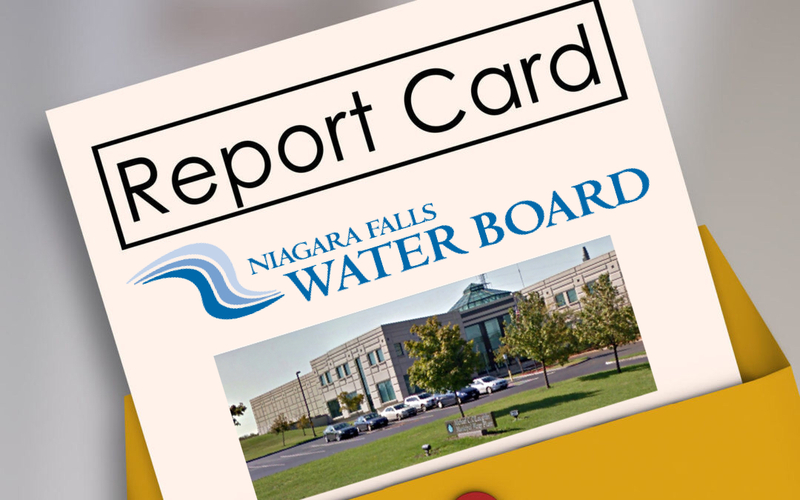 The Niagara Falls Water Board is run by a five-member board appointed by the Niagara Falls Mayor, the Niagara Falls Council, the NYS Assembly, the NYS State Senate and the NYS Governor. The Water Board has 50,000 customers who are delivered drinking water through 17,000 service connections. The Water Board was originally formed in 2002 and assumed control of the city’s water and sewer treatment from the city under the administration of Mayor Irene Elia. During its 16 year history, it was run slipshod and by the full time management – without much oversight by the board. It became a foul hotbed of waste, inefficiency and likely corruption. For years it was run as poorly as any bureaucratic nightmare anywhere. 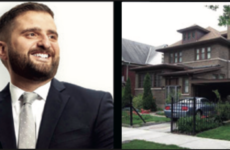 Then in 2017, perhaps by accident, the city council used their choice for an appointee to the board to appoint the hard headed, no nonsense businessman and Democratic Party leader, Nicholas Forster. 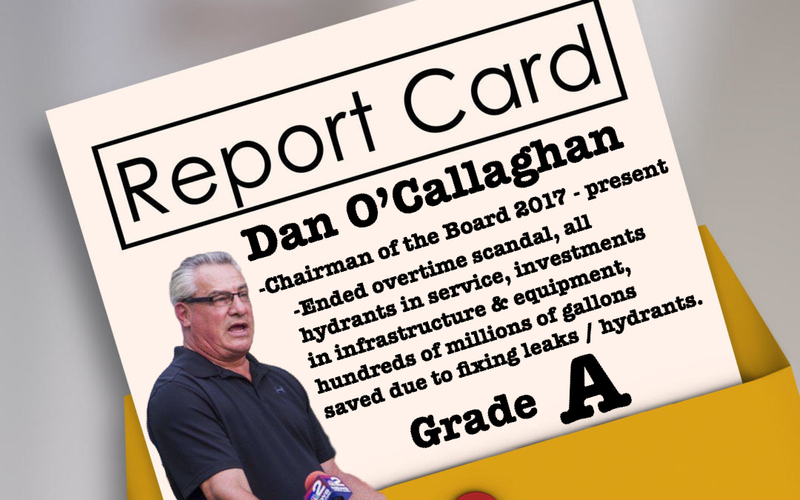 Then Mayor Dyster in a rare move that was both honest and efficient appointed a man who actually knew something about water treatment – Dan O’Callaghan. O’Callaghan had been the superintendent when the original water plant was built. He and Forster, joining the board, were quickly supported by the appointee of the New York State Assembly – Renae Kimble – and they now constituted a majority. Now things could get done. And for whatever reason – it was good luck it seems – Forster and O’Callaghan decided to become hands on board members. This was the first time any board members appointed by the politicians ever were active in day-to-day management of the Water Board. It resulted in a series of changes in both the culture and outcomes of an authority long known as a bureaucratic wasteland. The first thing the new board did was to change an old rule of the ethics code that prohibited board members from speaking to union employees of the Water Board. 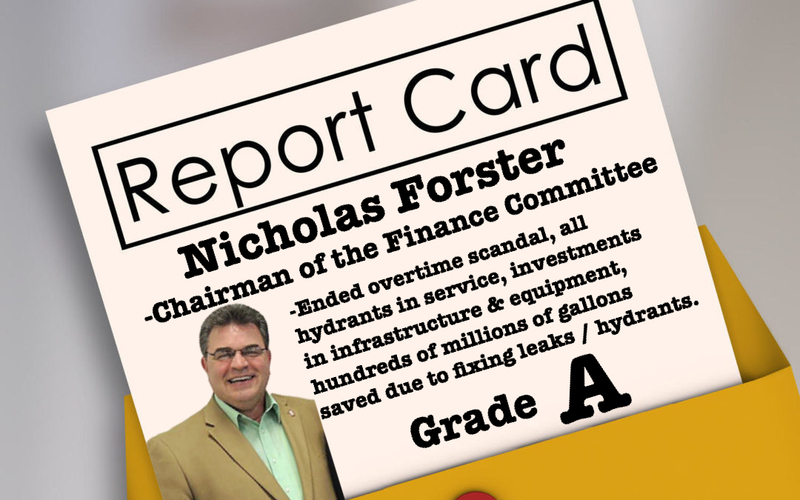 Forster found it stunning that the board – which is charged with the management and control of the city’s water – could speak only to management and not to union employees. “How do you find problems out, if you can’t talk to employees? How do you have your fingers on the pulse, if you can only talk to the bosses?” said Forster. O’Callaghan said since the change, he and Forster spoke with almost every one of the 114 Water Board employees. He said employees often asked him questions. The Niagara Falls Water Board’s Annual Drinking Water Quality Report for 2017 disclosed that more than two thirds of the water treated was not sold to customers. That meant that prior to the Forster-O’Callaghan board, 66 percent of water treated by the Water Board was lost or wasted. Water Board customers bore the cost of converting 7.3 billion gallons of Niagara River water into clean drinking water, yet they consumed only 2.3 billion gallons – or about one third. It was a shameful statistic. 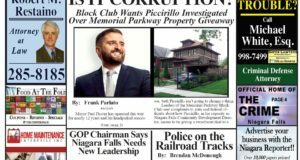 At the time, then Niagara Falls Water Board Executive Director Paul Drof admitted there are “hundreds” of water line breaks across the city. He did not know how much water was lost, adding that the Water Board responds to breaks throughout the city, two to three times a day. “Yes, people are calling. Yes, we are embarrassed and yes, this is irritating. We are trying our best to get to them, but we have to reassess daily,” Drof said at the time. Forster and O’Callaghan chose to stop being embarrassed and fix the leaks. In less than a year’s time, the Water Board was able to fix most leaks, and reduced the amount of wasted/lost water from 66% down to 18%. Billions of gallons were saved in less than a year. Those savings have been used to upgrade systems and improve and clean the plants. Every year in the summer, there was a terrible smell near the Michael C. O’Laughlin Water Treatment Plant on Buffalo Avenue. The smell was a combination of human excrement, dirty basins, and sludge. The Forster-O’Callaghan board brought in AECOM, an engineering firm and Dr. John Goeddertz, an expert in wastewater treatment – on the recommendation of new Water Board Executive Director Ralph Porter. Dr. Goeddertz told them to clean the basins. It was so simple it was brilliant. There are five basins. Clean them. That had not been done in years. They cleaned the wastewater basins and the smell went away. For the first summer in years, there is no smell. All those years of thousands of people in nearby neighborhoods having to endure the horrific odor was all unnecessary. All it took was common sense: Clean the basins. When Forster and O’Callaghan came to the water board in 2017 they found something shocking: A few workers were getting excessive amounts of overtime. There are 114 employees at the water board. But some got a disproportionate, if not hard to believe, amount of overtime. For two years prior to their coming to the board, there was almost $1.9 million in overtime paid. What troubled Forster and O’Callaghan the most was that there was no monitoring overtime. There were no time clocks. An employee would simply turn his own time in. Everyone was on the honor system. No questions asked. This struck these two businessmen as an invitation to cheat. Forster and O’Callaghan started monitoring overtime, and suddenly, leaks started occurring during the week, instead of only on weekends. Suddenly employees were not getting 40- 100 hours of overtime any more. A guy could not simply say he worked 10 hours of overtime. He had to prove it. Overtime diminished drastically. And, about a dozen people – the biggest collectors of overtime – all suddenly decided to retire. The new Water Board majority put in security cameras and operationalized the gates. Another thing Forster and O’Callaghan insisted on doing – ensure that every single fire hydrant in the city worked. When they first came on board – Forster and O’Callaghan learned to their surprise that, out of the city’s 2600 fire hydrants, 152 did not work. A well-run city does not allow any fire hydrant to be broken. It could be catastrophic if you happen to live near the one that is broken. Forster and O’Callaghan found out that the last time every fire hydrant worked in the city was in 1980 – almost 40 years ago. Today, every broken fire hydrant was replaced. For the first time in years, the Water Board tests hydrants by flushing the system and afterwards putting a system in place to do it regularly. Every fire hydrant in the city works. 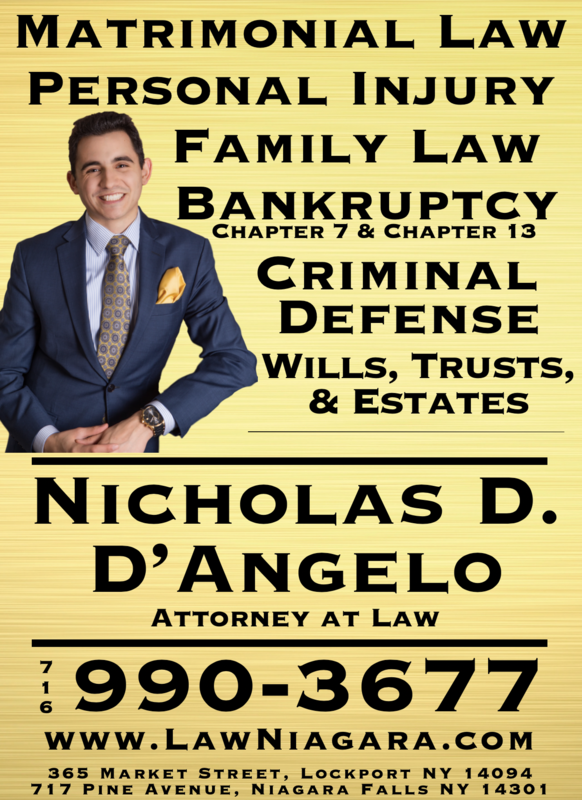 By law, the Niagara Falls Water Board [NFWB] is required to keep around $30 million on deposit in the bank for emergency or extraordinary needs. 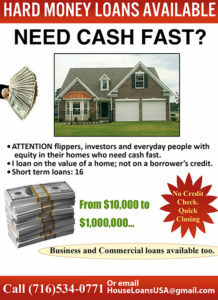 As it turned out, $25 million was on deposit for 15 years in interest free bank accounts. Forster and O’Callaghan led the board to switch to a bank that paid interest. It did not take a genius to think of this, but nobody did before Forster and O’Callaghan insisted. Calculating interest rates paid by banks for big depositors for the last 15 years, the board lost about $5 million. Forster and O’Callaghan also learned the person who should have been in charge of banking at the NFWB – the Director of Financial Services – was unfilled. That position was vacant when O’Callaghan and Forster joined the board. 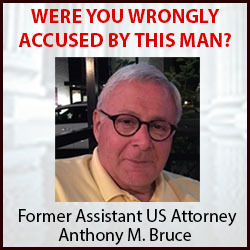 The accounting firm, Pronexus, LLC, based in Rochester, NY, never advised the NFWB to put money in a bank account where they might get interest. Forster and O’Callaghan decided to stop paying $600,000 per year to an outside accounting firm to do the work an $88,000 employee could do. And they decided to find a bank that would pay interest. After interviewing several banks, the NFWB chose Bank On Buffalo. 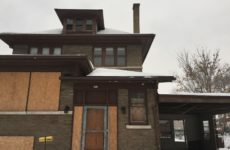 According to Bank on Buffalo president, Martin Griffith, if the Water Board’s money had been in one of their interest-bearing accounts during the last 12 months, ratepayers would have earned $427,000 in interest. Corrected the drainage problems on Cayuga Island – by cleaning every one of the sewers. Establishing a maintenance program to exercise the giant valves [turning them back and forth, open and close] that shut off water lines [so you can fix broken lines] so they won’t break when you really need to turn them. Buying a vacuum truck which works when the weather is below 32 degrees. Updating the fleet, which was 12 years old, and saving ratepayers money by so doing. Settling the union contract. For 7 years, union members worked without a contract. Bought a camera truck to accurately determine where leaks are – instead of just telling ratepayers that the leak is on their property – the hallmark of the old water board management. Two recently appointed board members changed the way the Water Board was run, largely by taking a hands-on approach to its management. 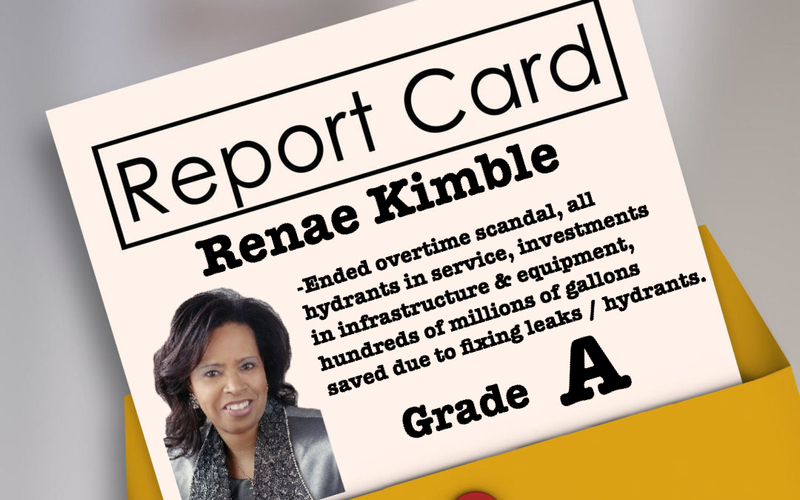 Thanks to them – in our opinion – the Water Board overall is entitled to an A rating – and the approbation of the public. We expect by next report that rating will be A ++.